Why would you want to ski up a mountain? Good question. Ski mountaineering is all about physical exertion, endurance and mental toughness. It goes without saying that skiing uphill is painstakingly slow and exhausting. Combined with the air at higher altitudes, ski mountaineering is a challenge that people want to conquer, and those who do find it exhilarating and rewarding. As an alternative to a morning gym session, mountaineerers can ski one rep up the mountain. How do you ski up the mountain? If you've ever tried to "ski" uphill, you've noticed that you can't really do it without going backward. 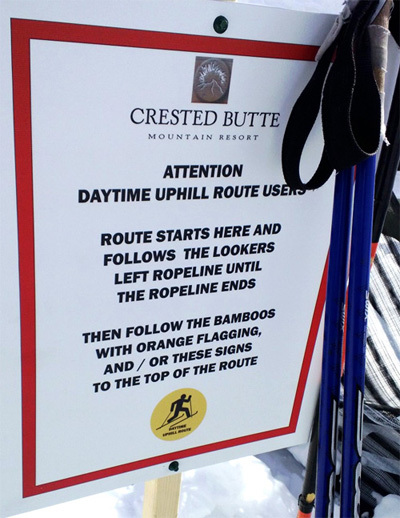 To avoid this, ski mountaineerers gain traction by placing a sort of "skin" over their skis on the way up the hill. Then, when they get to the top, they remove the skin and ski back down. To do it all over again, without a lift. Is it competitive? 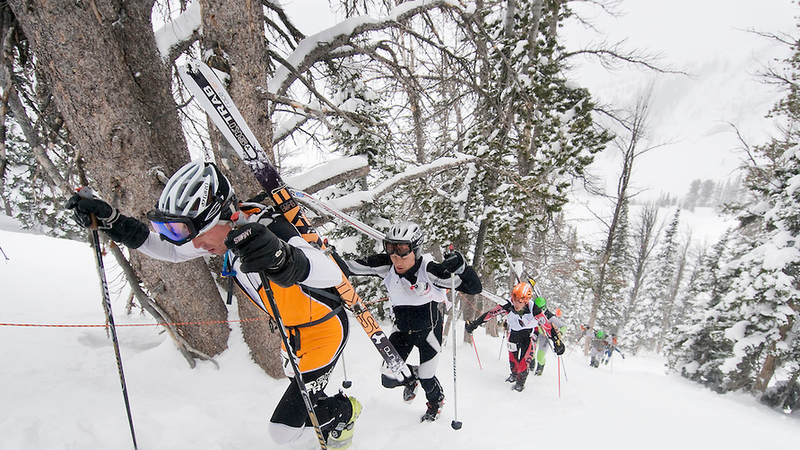 Yes, as the popularity of ski mountaineering has increased, so has the popularity of ski mountaineering competitions. 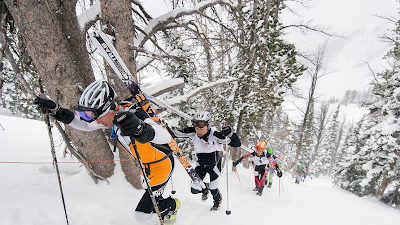 The Colorado Ski Mountaineering Cup debuted in 2006 and since that time, the number of competitions has more than tripled to 16. The largest international competition, the International Ski Mountaineering Federation World Championships, took place in France this year. The top American finished 31st! There's even a United States Ski Mountaineering Association. No Lift Fees. Ski mountaineerers don't actually have to buy lift tickets because they don't use lifts! Resorts don't like that of course because they aren't making money; some have taken to charging ski mountaineerers smaller fees than regular lift tickets ($10 or so) to ski up their hills. Potential Danger. 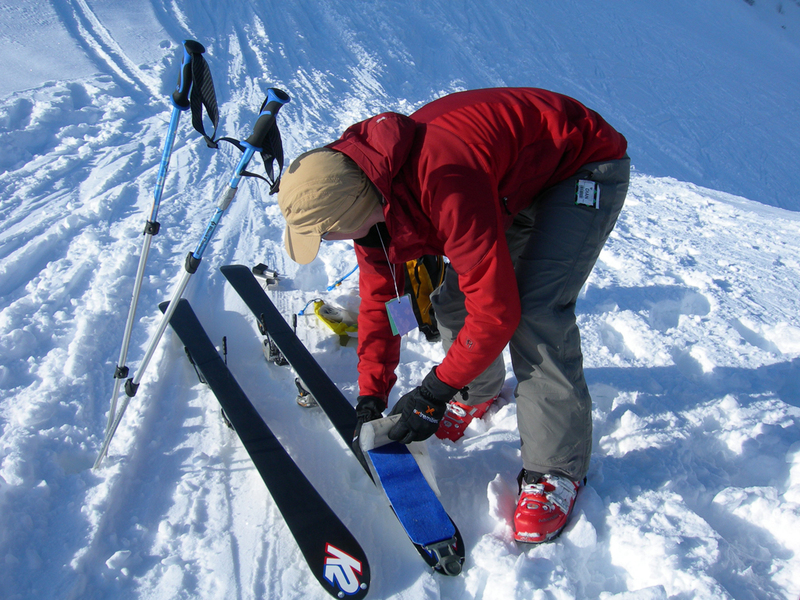 Ski mountaineering is potentially dangerous because of the risk of collisions between downhill and uphill skiers on twisting and steep slopes. So some resorts have prohibited it from their mountains. Others have taken steps to allow it only at certain times, or on certain slopes. Next Frontier? Some resorts have decided that the expansion of ski mountaineering is worth it, recognizing that uphill skiing as an industry is expanding, including sales of associated gear. They are inviting ski mountaineering to their slopes. It will be interesting to see over the next few years whether ski mountaineering is a short term craze that outdoor enthusiasts will forget about, or whether it gains a toehold in the industry and resorts end up opening certain slopes full time to ski mountaineering.